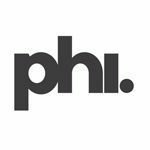 In fall 2017, the Phi Center in Montreal, in cooperation with the Goethe-Institut, is presenting a series of films titled “Phi ♥ Hamburg”. 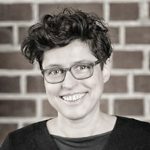 We took this opportunity to ask the curator of the film series, program director Kathrin Kohlstedde, a few questions about the concept, the collaboration with the partners from Montreal, and the choice of films. The film screenings at Montreal’s Centre Phi are accompanied by an evening program, and on Friday Kathrin Kohlstedde | © Kathrin Kohlstedde night by a performance from Chefboss, a music group from Hamburg. Each of the films will be presented by a local filmmaker along with cocktails and audience discussions. Each evening the themes of revolution, passion and friendship will convey to visitors, the many parallels between the two partner cities. How did the collaboration with the Phi Centre start? The Phi Centre is well-known in the film world, so over the years we have met several times at various events and festivals. At some point, sitting together in a friendly atmosphere, ideas like this are born. The film festival in Hamburg features an excellent selection of films from Quebec every year. We’ve already hosted filmmakers like Xavier Dolan, Denis Côté, Philipp Falardeau, Léa Pool and others and we are grateful for the stories and creativity they bring from their homeland. Hamburg already knows a lot about Montreal, so it was time to turn the tables. And since we couldn't pack Hamburg in a suitcase, we chose three films and a musical act instead. To complete the exchange, they are all presented by filmmakers from Quebec. Could you tell us a little more about the choice of films for "Phi loves Hamburg“? It was very important to me to show different eras: the 1970s with Rocker, the 1980s with Verführung, and the 2000s with Absolute Giganten. In each of these films, the city of Hamburg plays an active role, almost like an actor and not only as scenery. Rocker is a cult film which regularly plays in front of a large audience, e. g. in the Millerntorstadion. The visitors already know the dialogues by heart. Absolute Giganten is one of the most beautiful films about Hamburg, an ode to the city and to friendship. And Verführung is an impressive radical avant-garde work by Monika Treut from Hamburg, who received this year’s honorary “Teddy” at the Berlinale. How do you compare Montreal to your hometown? I love this city as much as I love Hamburg. As the two of them are port cities they already have something in common: the people are open-minded, relaxed, curious and calm. What I really appreciate here is that they see culture as an essential part of their identity and devote a particular importance to it in many areas. Hamburg can certainly learn from that, and we are working to contribute with our film festival. Will there be a similar collaboration with works from Quebec in Hamburg? Each year, we always have a great presence of films from Quebec. I’m sure it will be the same in 2018. There will be many exciting works coming out of Quebec next year and we’re already looking forward to seeing them.